Can’t choose which llama you want? 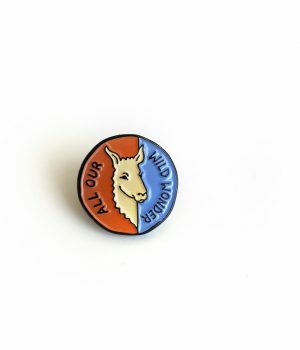 Take two! 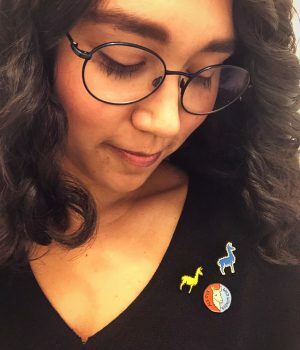 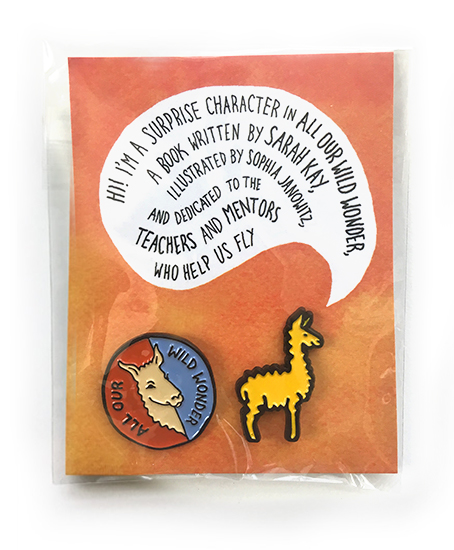 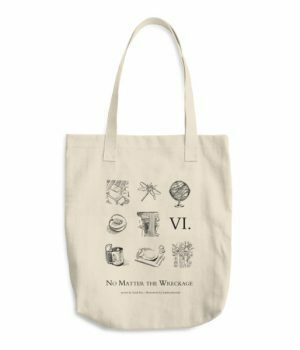 For the book release of All Our Wild Wonder, Sarah asked Sophia to design llama pins that could be worn on a beloved jacket or backpack, or given to a favorite teacher for their tie, cardigan, jacket, lab-coat or bulletin board. 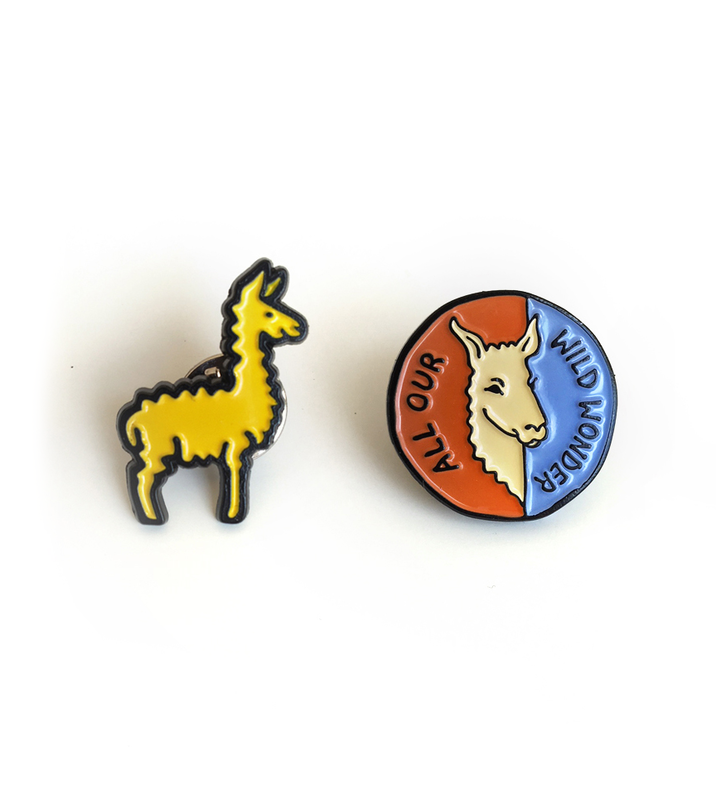 At 1” tall (2.5 cm), these little enamel llama pins fit happily on clothing and accessories, and carry with them a reminder of the book: childhood joy, surprise, and wonder.